The specter has been revealed! 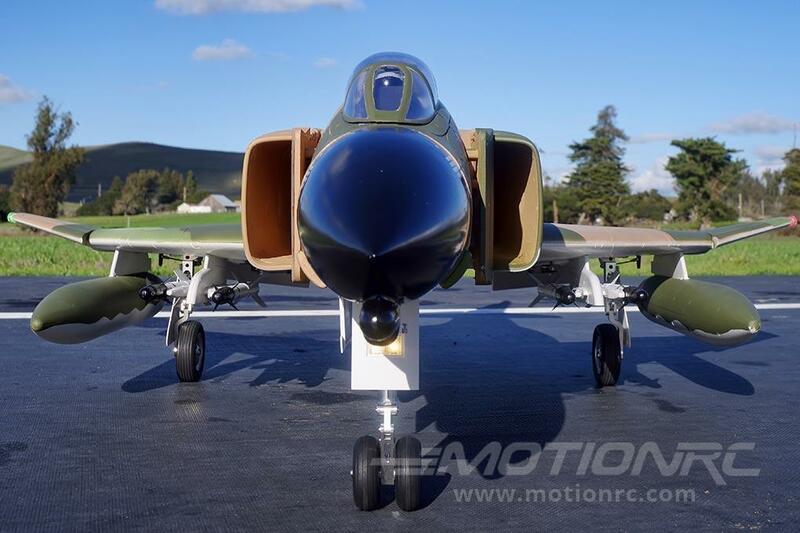 Aviation enthusiasts have long loved the F-4 Phantom, and Freewing are extremely proud to introduce our 90mm Super Scale Series rendition of this ultimate warfighter! For more than 50 years, the F-4 Phantom delivered the versatile capabilities required of an all-weather frontline supersonic interceptor, fighter-bomber, SEAD, and reconnaissance platform. 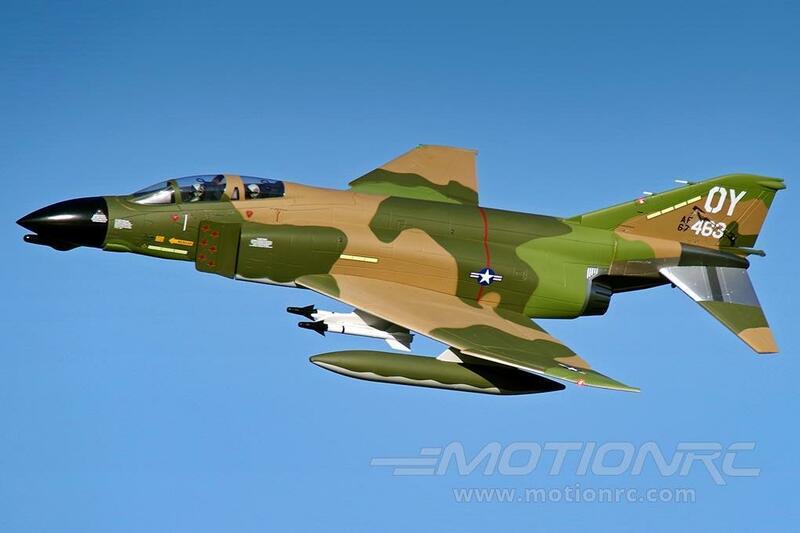 Less than a year after its retirement from US military service, you can still keep the F-4 Phantom flying in your RC fleet! 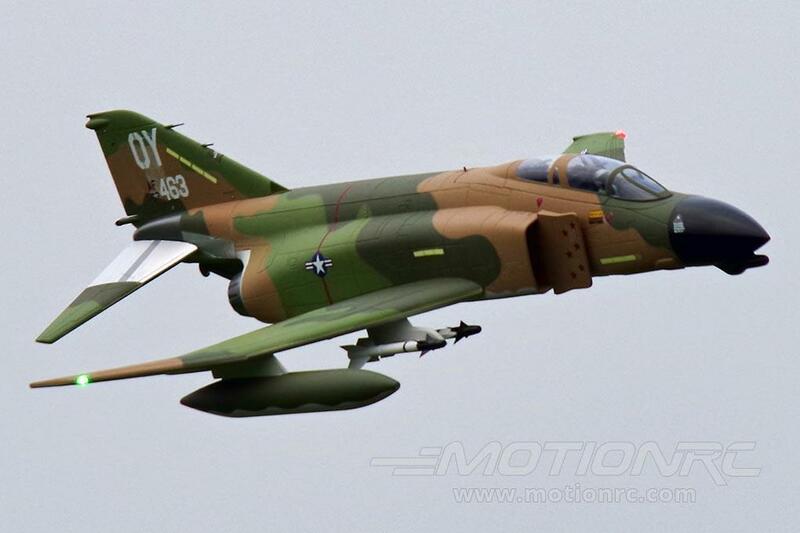 RC pilots have consistently requested a large F-4 EDF jet that performs excellently out of the box without endless modifications. We developed this F-4 to deliver reliability, durability, and performance from your very first flight. Grass operation is a hallmark of the Freewing 90mm F-4. With its wide stance, tall main tires, Oleo suspension nose strut and concealed trailing link suspension main struts, this aircraft performs well on rougher grass fields normally reserved for the Freewing A-10, Avanti, and other “grass approved” EDFs. Super scale details include accurate dual landing lights flush-mounted into the scale operating nose wheel doors, DayBright position lights, rivet detail, static arrestor hook, and period accurate ordnance comprising four AIM-9D Sidewinders and two 600 gallon fuel tanks on removable hardpoints. Copious detail is molded into the aircraft’s surfaces, including recessed areas depicting Position 4 and 6 (where DIY modelers could add belly-mounted AIM-7D/E Sparrows). Plastic details include pitot tubes, ejection seat pull rings, and molded exhaust nozzles. The large fiberglass nose cone is magnetic and removable, and the chin pod beneath it is foam, allowing easy removable and customization for other versions (-C or late -D). An optional, highly detailed 3DPUP set (“3D Printed Upgrade Part”) is available that represents the correct Mk H-7 ejection seats and cockpit instrument panels in high detail. Download the 3D Print-ready files for free! Representing the famed aircraft BuNos 66-463 operated by pilot Richard “Steve” Ritchie and weapons systems officer Charles “Chuck” DeBellevue when they scored their fifth kill together on May 10, 1972 over Vietnam, the Freewing 90mm F-4 arrives pre-painted in classic SEA (South East Asia) Camo and proudly wears the markings of the 555th TFS. BuNos 66-463 became a bona fide “MiG Killer”, being credited for six aerial kills with five different flight crews. 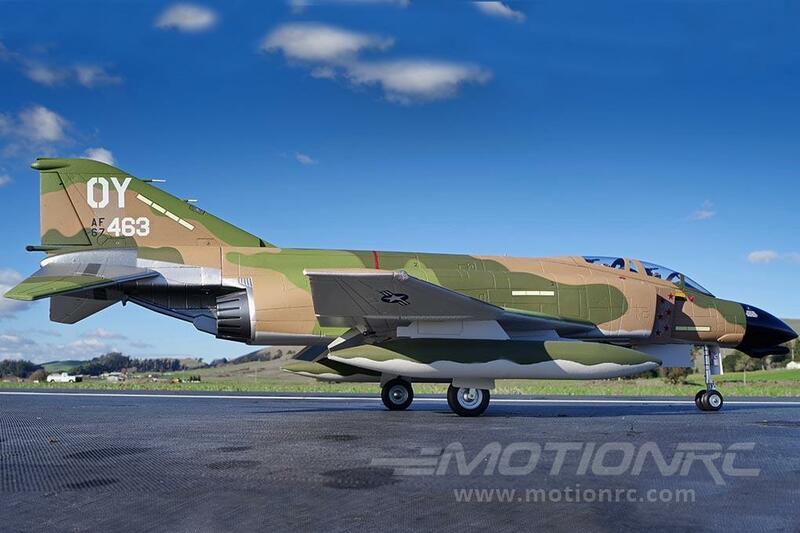 For piloting wanting to customize their F-4 with their own scheme, we recommend Callie-Graphics.com for all your custom adhesive vinyl decal needs, and we worked with her to ensure her decal sets match our Freewing 90mm F-4’s proportions.